Thanks to Futures in Education, Enrollment Is Up for Latino Children! 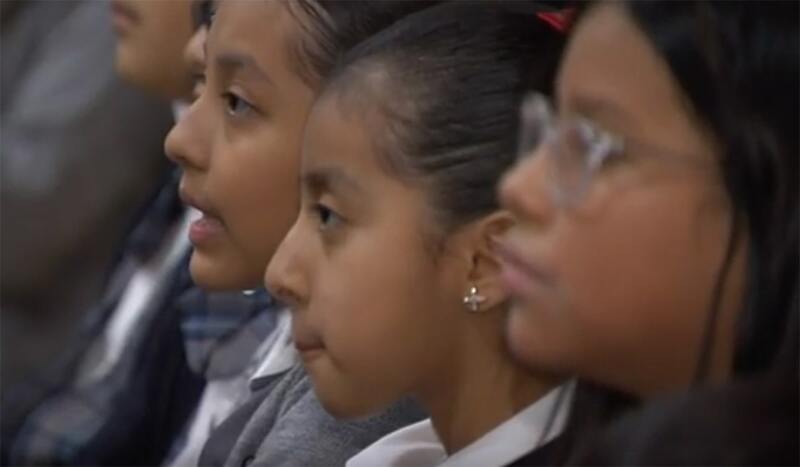 A recent report from Boston College said that only about about 300,000 of the 8 million Hispanic school-aged Catholics in the U.S. are enrolled in Catholic schools — that’s less than four percent. 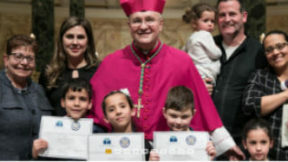 But the Diocese of Brooklyn is bucking that trend, with about 32 percent of students identifying as Hispanic or Latino. The Futures In Education program, which provides scholarships to students who attend Catholic school, is a huge reason why. At Our Lady Of Sorrows in Corona, Queens, 147 students were awarded Futures scholarships this year worth more than $290,000, and more than 99% of students at the school identify as Latino. Watch the Currents News report below for the whole story.